The breed specific Linz Heritage Angus program has found its way into top kitchens around the world and demand continues to grow on a daily basis. The Linz Heritage Angus brand has made a name for raising the bar in both the Angus breed and Fine Dining community. At an increasing rate, consumers want to know where the food they consume is coming from and the background story that comes with it. In the land of fine dining, consistency is king, and the only way to have true consistency is to control the source. With the Linz Heritage Angus program, we are able to offer true conception to plate by having unprecedented control of the beef we use. Many factors make the difference in separating a so-so steak from the mouth-watering experience at a top steakhouse. Everything from breed of cattle, their feed, and the region in which they are raised are major factors in producing the best beef money can buy. The Linz family understands those factors and have built one of the most respected herds in the Angus breed. 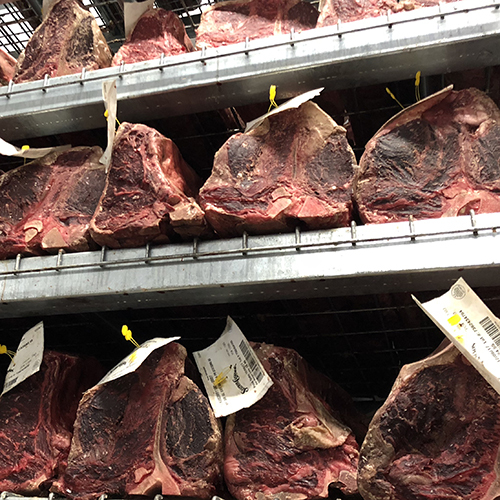 Not only do cattlemen from around the country seek to add our genetics to their own herds, but the most renowned steak houses in the industry have partnered with us to reap the benefits of true conception to plate consistency. 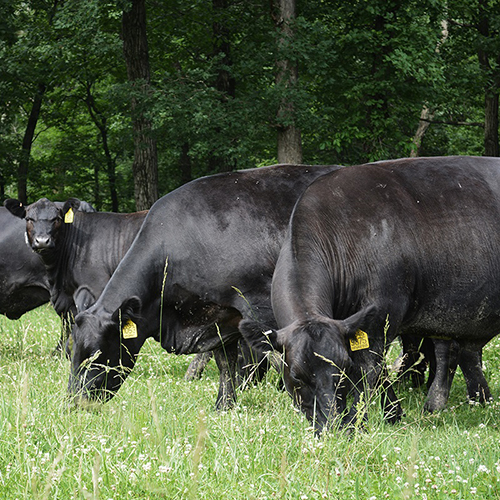 We are true believers that the Angus breed is the best breed. We know better than anyone the importance of consistency and quality when it comes to the end product. Genetics of this caliber allow us to continue to provide some of the finest restaurants across the world with consistently well marbled beef. Feed is a major factor when it comes to superior beef. LHA cattle are corn-finished for a minimum of 150 days to create the memorable "wow" steak flavor profile. Corn-finished beef is often put up against grass-fed beef which has a completely different flavor profile with significantly less marbling. The Linz family has partnered with cow calf producers from different parts of the midwest to help bring our genetics to life in a big way. 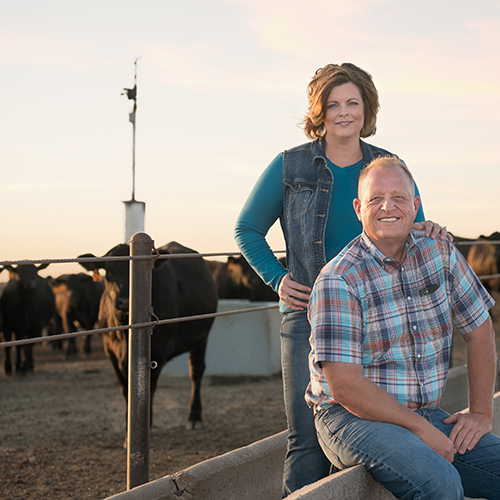 These family farm partners use LHA genetics in their own herds to produce cattle for the LHA program. Only 100% black hide Angus are allowed to be a part of the Linz Heritage Angus name and any partner program we deal with must follow the strict requirements. Beef has no discernible flavor until 12-14 days postmortem. The aging process, whether it be wet or dry aging beef, is a must. Like a fine wine, the more age, the more benefit to the palate. Linz Heritage Angus can be found wet aged anywhere from 21+ days and dry aged as long as our customers spec requires.